You've found your essential summer flip-flop in the Reef Rover Catch. 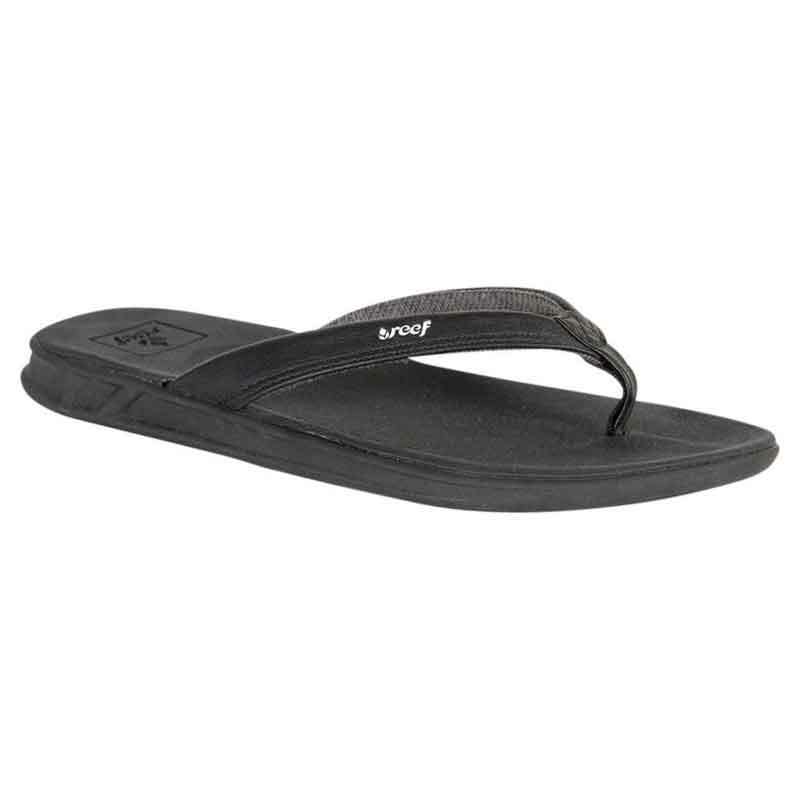 This women's thong style sandal features water-friendly, faux nubuck upper straps with a moisture wicking mesh liner to keep you comfortable all day long. Reef's signature Swellular technology delivers a contoured and cushy foam footbed for instant comfort, with a compression molded triple density midsole to keep that comfort going. The sawtooth rubber outsole delivers superior traction, protection, and durability. The Reef Rover Catch is certainly a catch when it comes to summer sandals. Reef has always blended the irreverent attitude of the beach lifestyle with a commitment to building a fashionable, surf-inspired product. Reef is a fusion of cool products, extreme sports, art, fashion, and music. Balance work and play with Reef sandals.